An enthusiastic crowd packed Cadogan Hall last night for Mike Batt’s trip through four decades of hit making and film score composition. A Songwriter’s Tale pushed all the right buttons – music from Watership Down (including “Bright Eyes”), Caravan and The Wombles (the wave of nostalgia which rippled through the audience as it recognised the opening oom-pahs of “The Wombling Song” injected another shot of warmth into an already very hot evening), “A Winter’s Tale” and a Simon Bates-narrated segment from his ill-fated musical The Hunting of the Snark. It all served as a great reminder of Batt’s significant contribution to British pop music. Not just through the novelty value of The Wombles who dominated the 1970s when the children’s television show brought Elizabeth Beresford’s books to life, but also through his skills as a lyricist and composer, forging hits for a host of great singers (and having a few of his own) and writing some truly beautiful scores, some of which were revisited last night in the sumptuous playing of his self-styled Secret Symphony Orchestra. And his encore – “The Closest Thing to Crazy” – was a reminder that the hits keep on coming, together with his shrewd eye for talent. The song was of course a huge success for Katie Melua, who sat discreetly in the gallery, paying tribute to the man who has been such an important influence on her career. With the best will in the world, Batt is not the greatest singer himself – there always seems to be too much else going on that requires his attention. Last night those particular honours surely went to another of his protégées, Florence Rawlings, who supplied assured and classy backing vocals as Batt worked his way through the hits, but came into her own with a solo number in each set. Her soulful, slightly smoky timbre brought a new resonance to “Caravan Song”, Batt’s epic journey of a ballad, which provided such a memorable moment in Barbara Dickson’s chart career. 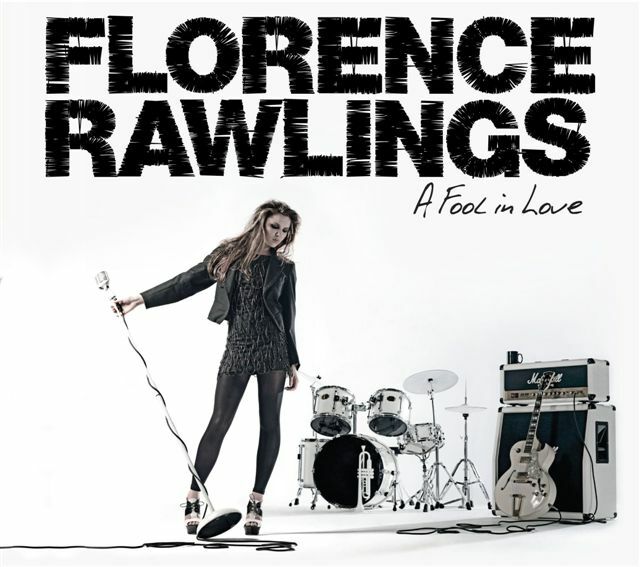 And in the second, “Love Can Be a Battlefield” – one of those metaphorical explorations of the dubious spoils of profound emotion at which he excels – was a taste of Rawlings’ current album, A Fool in Love. Rawlings is only 21, yet here were two lessons in how to deliver songs that carry considerable emotional clout with restraint and dramatic conviction, and without resorting to the exaggerated hand-wringing and gurning that defined the finalists on Saturday night’s hunt for Dorothy, BBC1’s Over the Rainbow. Here was a genuine, modest talent, offered simply and without artifice to an audience that as well as Melua, included another fine singer, Mari Wilson: ample evidence that Batt really knows how to pick them. Barb Jungr’s recent album, The Men I Love, continues to be one of the most talked about records of the year. I just read this excellent post by New York blogger J.B., which sums up the boldness and bravery of this great, category-defiant singer in her choices of song and arrangement. Here in the UK, on the first evening of the year that could remotely be called sultry, Peggy Duquesnel’s latest album, Summertime Lullaby, makes for a classy hour on the terrace. The California-based singer has come up with some smooth arrangements for a clutch of well loved jazz standards, interspersed with four of her own compositions including the languid title track, which sets the scene for a thoroughly enjoyable set. An upbeat “My Romance” swings along thanks to Duquesnel’s nifty work at the keyboard – she’s also an accomplished jazz pianist (she later lets fly with a free-flowing instrumental, “On Green Dolphin Street” and a cool “Mack the Knife”) – leading easily into another of her own songs, an elegant tribute to a long relationship, “In the Quiet Hours”. “Drivin’ Blues” will give a wry laugh to anyone who knows the bumper-to-bumper frustrations of the homeward commute, especially when there’s a date waiting at the end. Duquesnel has assembled a sympathetic, fluent band – guitarists Grant Geissman and Mike Higgins, bass players Jim DeJulio and Ernie Nunuz, and drummers Kendall Kay and Dave Owens – who presumably take turns in the trio although they aren’t credited on individual tracks. Between them they generate a warm, sophisticated tone that’s epitomised in a boldly phrased “Fly Me to the Moon” and another instrumental, Billy Strayhorn’s “Take the ‘A’ Train”. The album is dedicated to Duquesnel’s husband and culminates in a touching, spare version of “Stay as Sweet as You Are”, the perfect sign-off at the end of a tasteful journey around what is obviously a very personal musical landscape. It’s a perfect soundtrack for the magic hour, as evening turns to night. There’s something of the Tardis about the contemporary, thriving young female singer/songwriter market. Just when you think there can’t possibly be room for another one, along comes yet another distinctive, highly individual voice with a new perspective; and the boundaries expand to accommodate them. This is the upside of the Internet as a democratic market place in which the listener is completely in control. Success or failure is no longer defined by the limited vision of music marketers in their air-cooled offices – or the soulless calculations of Simon Cowell. 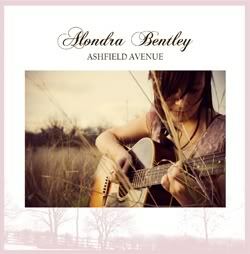 So welcome to the scene, Alondra Bentley and her debut album Ashfield Avenue, with her delicate acoustic sound, deft use of strings and literate lyrics that command attention with their subtlety and honesty. If I call Bentley’s voice ‘sweet’, it isn’t because I want to start dealing in twee clichés. There’s nothing saccharine about it. Rather, she has a purity and instinct that evokes the integrity and folk sensibilities of Mary Hopkin or Vashti Bunyan, occasionally giving way to a more resonant, bluesy timbre that comes to life on the bittersweet, jaunty “Giants are Windmills”. Bentley was born in Lancaster in 1983 – in a house in the Ashfield Avenue of the album’s title – but has spent most of her life in Spain, and this has obviously had a profound effect on her music, which brings to mind an extraordinary range of influences. There is an adventurous spirit behind the melodies of these charming, occasionally unsettling, songs and while some of the effect might be down to producer Cesar Verdu, the self-taught Bentley’s own musicality – she accompanies herself on the guitar but is joined variously by guest musicians on banjo, charango, piano double bass and trumpet – is clearly a force to be reckoned with. This is an album for sultry summer afternoons, the songs rippling around the room like tantalising breezes. Each number is a lyrical journey, presented with an attention to detail that allows every musical component to shine: the lilting, honky-tonk banjo; the plink of a guitar string; a sudden, sombre bass piano note. And above it all, Bentley’s assured but intimate voice as she weaves her potent stories. “Some Things of My Own” is a delightful tale of the troubadour’s material poverty. “Sunglasses” plays out the emotions and realisations that follow in the wake of a mundane accident. “I Feel Alive” is a delightful sensory tapestry of memories colliding in the present. This is absorbing stuff. Here’s the thing. I’ve been a fan of Julie Andrews since the first time I heard the original Broadway cast recording of My Fair Lady as a child. The LP, one of my mother’s souvenirs from a trip to New York in 1956 when the show was playing, was almost constantly on the turntable, and that crystalline Andrews soprano had me enthralled as she metamorphosed from guttersnipe to lady through those brilliant Lerner and Lowe songs. In due course, My Fair Lady was joined in my affections by The Sound of Music and Mary Poppins, and much later, Victor/Victoria, which I saw on Broadway in 1996, admiring Andrews’ fascinating stage presence – that artful mixture of regal poise and sophisticated comedy, and still-commanding vocal artistry. Since then, the consequences of a notorious operation on her vocal chords have been widely reported and Andrews has spoken movingly about the loss of one of the greatest instruments in the history of stage and film musicals. But she has soldiered on with her career as a movie actress and children’s author, coming to terms with it in a way that probably owes everything to the show-must-go-on discipline of her vaudeville roots. My musical tastes have expanded in all sorts of directions but Andrews has continued to command a special place in my affections. Never exactly fashionable and much – if affectionately – mocked for the clarity of her diction, she nonetheless represents a style of singing that epitomises the glory days of the Broadway musical in a way that few of today’s pop-influenced performers can approach. And since the singing came to its premature halt, Andrews has continued to grace any film lucky enough to have her in the cast with the same considerable acting skills that won her an Oscar for Mary Poppins and made her the definitive Maria von Trapp. All of which makes writing what must follow feel like an act of sacrilege. Julie Andrews returned to the concert stage in London for the first time in more than 30 years on Saturday 8th May at the O2 Arena. The show, billed as The Gift of Music – An Evening With Julie Andrews, was a tribute to the work of Rodgers and Hammerstein, whose words and music have been such a constant thread in Andrews’ career. Their songs provided the framework for the first half of the evening, while the second was a semi-staged performance of Simeon’s Gift, a musical adaptation of one of Andrews’ most successful children’s books, co-written with her daughter Emma Walton. As a concept, alas, the concert was doomed to disappoint on multiple levels: two unequal halves welded together by the singing of five Broadway artists (Stephen Buntrock, Christiane Noll, Kevin Odekirk, Anne Runolfsson and Jubilant Sykes), overseen by a gracious Andrews who too often resembled a benevolent teacher encouraging her charges through a public master class. How could it fall so far short of expectations? Let’s start with the venue. The O2 is a vast cavern, pure and simple. There could hardly be a less appropriate arena for a concert that by its very title promised a warm, intimate exchange between the star of the show and her audience. Then there was the title itself, which suggested that even if Andrews would not be singing a great deal, she would at least be a constant presence on the stage, doing rather more than supplying brief introductions for her guest artists. Competent as they generally were, they were not the reason we had trekked out to North Greenwich, and the programme’s over-reliance on their efforts created a constant sense of impatience for something more from the Dame herself. Instead, she came and went during a first half that was little more than a loosely linked selection of ballads and waltzes, occasionally – and not nearly enough – dropping in a short anecdote. Which brings us to the voice, a subject on which sensitivity must inevitably be tempered by reality. Andrews had been brutally honest in keeping our expectations of her own vocal performance realistic, explaining that her discovery of a handful of bass notes now allows her to talk-sing her way through a number. Even so, it was impossible not to feel a wave of nostalgia and sadness when on the giant screen, at the start of the evening, the young Julie in her novice’s habit came running towards us across the Alpine fields and that voice soared direct from the soundtrack above the Royal Philharmonic Orchestra’s live accompaniment. The audience was so galvanised by this poignant moment that Andrews’ emergence in the spotlight as “The Sound of Music” reached its climax was greeted by a prolonged and passionate ovation. And here was the evening’s major problem. What more could we expect, apart from simply basking in her presence – albeit at a distance of several hundred feet for most of us – for the next two hours? In truth, the answer was, not as much as we would have liked. Occasionally, a note was held with all the old power, and the audience whooped with appreciation. But Andrews’ strength was always in her melodic line and the enforced changes to accommodate her limited range sounded mechanical rather than fluid and instinctive. Plenty of older singers find ways to develop their story telling and phrasing to compensate for diminishing vocal qualities, and it would be good to hear her exploring these possibilities. Judging by her poignant renditions of “My Funny Valentine” and “Cockeyed Optimist” – the only two complete numbers she performed at the O2 – that would be an effective route, and it would certainly allow her to build a more autobiographical programme with plenty of options for interacting with video of her younger self, if that is her preferred medium. These two songs aside, we were left with the snippets that she contributed to numbers largely performed by the guest singers, and if we felt a little short-changed, I don’t think anyone could blame us. Simeon’s Gift, with music by Ian Fraser, who also conducted the Royal Philharmonic Orchestra throughout the evening, is a thoroughly decent, old-fashioned family entertainment. As a chamber musical, it would work a treat. Fraser’s songs are big, sumptuous ballads, and the story is a touching fable of the importance and triumph of ideas and music. But even with Andrews as the narrator, firmly steering things along, it was entirely swallowed by the darkness of the cavernous arena. And it simply felt too unconnected with the first half of the programme. The steady trickle of early leavers who contributed to a slightly restive feel around the audience suggested that I was not alone in my reservations. If Julie Andrews ever returns to London with a programme that does more justice to the considerable whole of her career, finds new ways to bring the stories of her best-loved songs alive herself, and offers it in a more meaningful auditorium so that the audience really can connect with her, I’ll happily pay to go and see her again. Until then, I’ll stick to the albums. With the ‘best’ seats at more than £80 and souvenir programmes at £12, the cost of this evening was way too high, even for two hours in the presence of a legend. 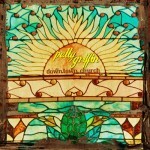 My review of Patty Griffin’s new album, Downtown Church, is just up on the excellent Folkingcool web site. I’m usually on the fence about country music, but this album stole my heart with a minimum of twang.